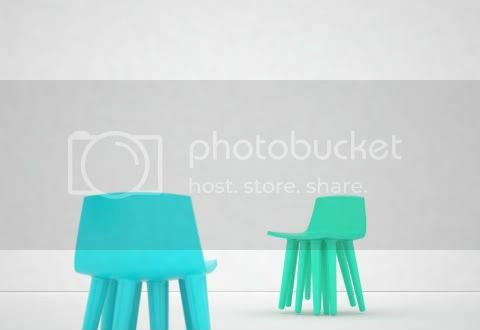 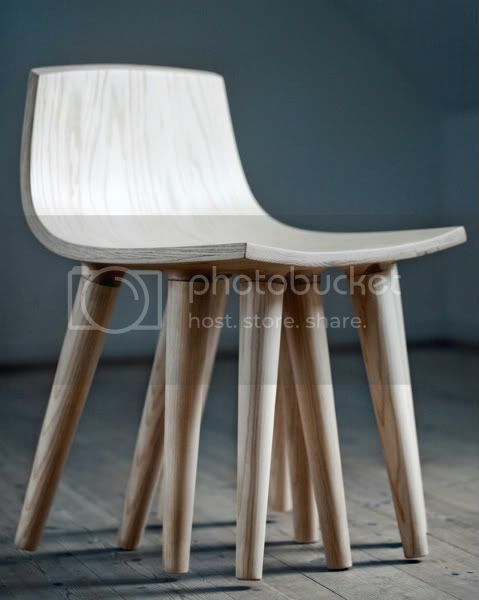 I've seen a few multi-legged chairs, but this one by Kristian Nørhave of K to N Studio caught my eye. 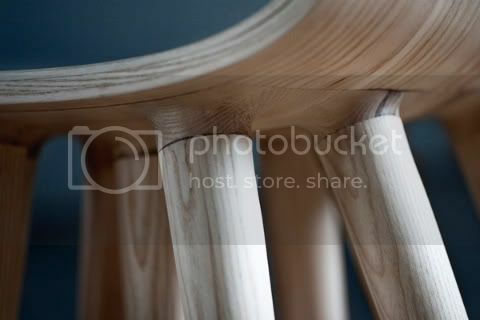 The movement and proportion of the chair by itself is fluid and full of character. 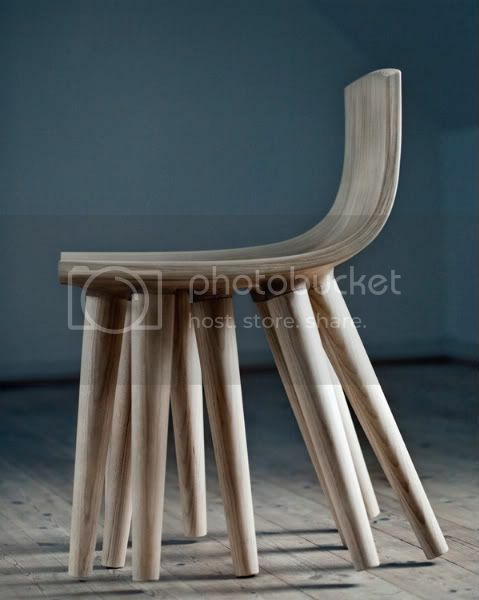 The multi legs aren't just for aesthetics though, they function as a sort of rocking chair, where three legs will always be in contact with the floor at a time.